The year is 1877. The place is the American West . . . but haunted by the forces of darkness. Undead gunslingers . . . hostile Indian spirits . . . strange cults . . . and, worst of all, the sinister Reckoners. The Civil War drags on, while federal agents and Texas Rangers struggle to deal with the eldritch menaces while hiding the awful truth from the public Back East. 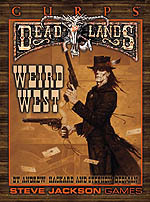 Deadlands, from Pinnacle/Great White Games, is possibly the most original roleplaying setting of the decade. It combines the romance and action of the Old West with the horror of invading Things Man Was Not Meant To Know. Now this great background will be explored in a series of GURPS worldbooks. Adventure as a shootist, a card-slinging huckster, or a prospector searching the ruins of California for that supernatural stuff, "ghost rock." Saddle up, hombre. 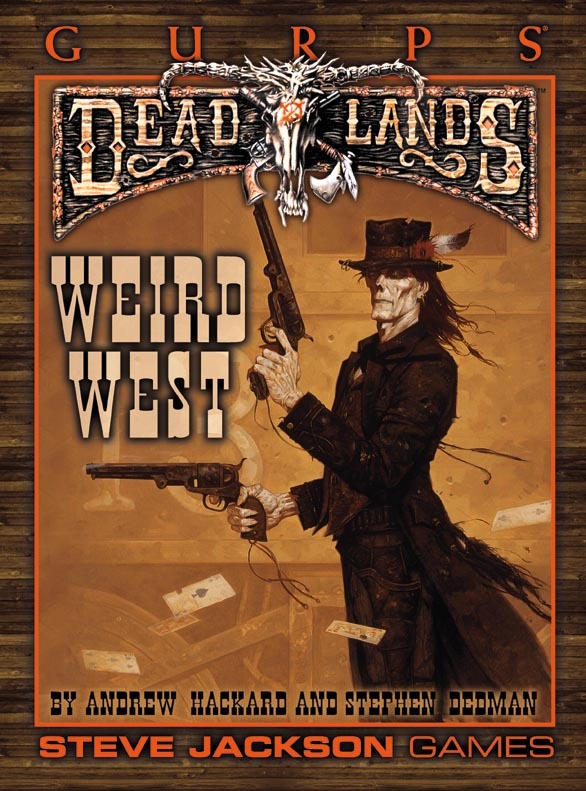 The Weird West awaits!